I ALSO PUT SOME TAPE OVER THE TOP COVER SO IT DOES NOT SHORT THE PCB AS ITS VERY CLOSE TO THE UNDERSIDE. IF YOU WANT TO FIT AN EXTERNAL MICROPHONE REMOVE THE RED & BLACK WIRES AND SOLDER IT IN. NOW YOU NEED TO CUT OUT THIS PIECE WHERE IVE MARKED IT, I USED A DREMMEL WITH A CUTTING DSC ATTACHED. ITLL GIVE MORE ROOM FOR THE PCB BOARD WHEN YOU PUT IT BACK IN . THEN HOLD IT SO IT FITS INTO THE HOLE YOU MADE AND USE A HOT GLUE GUN TO FIX IT IN PLACE YOU CAN SEE WHERE I GLUED THIS ONE WITH 4 DABS OF GLUE. NOW REMOVE THE TWO SCREWS HOLDING THE PCB INTO THE USB MODULE AND TAKE IT OUT, YOU CAN PUT IT BACK IN AFTER YOUVE SOLDERED THE WIRES ON TO IT LATER. Last edited by ynot9456 on Wed Jan 04, 2017 7:44 pm, edited 1 time in total. That seems to fit in there quite nicely. Umm, what is it? Ah sorry, I didn't see your ebay link before I posted. Out of stock just now but that's pretty cheap for what it is, much cheaper than a Yatour or Connects2. I have installed one of these in my 607, £4 wasn't a bad price. The 607 radio is nearly identical to the 406 radio bar the front fascia, which doesn't have as easy an aperture to glue in the modules facia. The spring which has to be removed. It works but the volume output is very low, this module has its own volume control but even with it and the phone at full volume the radio has to be turned up to 30 and at that point there is a lot of hiss on the audio. 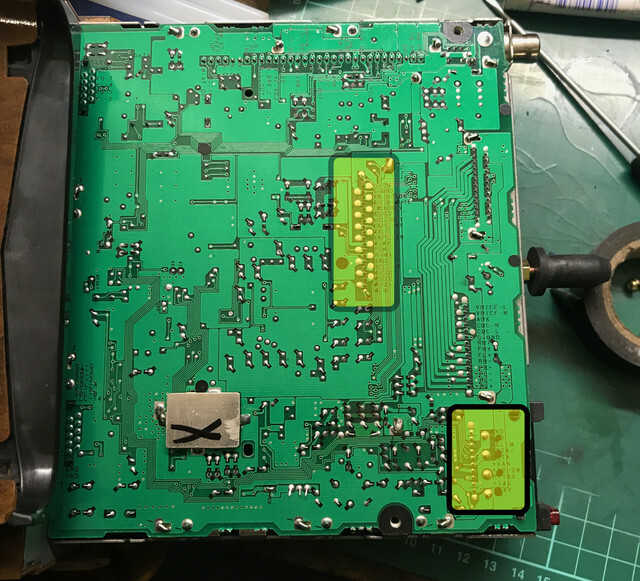 The signal may not be getting amplified on the PCB board, would there be some other location around the tape head that would amplify the audio signal. Also using the indicated locations for sourcing 12v it seems to be a permanent 12v supply, its too early to say if this is draining much current but I had to remember to turn off the module with the remote, it would be good if this was connected to an ignition 12v supply or even better 12v that comes on and off with the radio. I also tried to strip down the cassette mechanism to the bare bones, but on my first attempt that mechanism will not work, there appears to be microswitches in there that detect the presence of a tape, the first attempt had the radio searching for a tape and playing audio for a second before trying to change sides. At the moment its best to just remove that spring, it just seems strange to leave a motor running on the radio. What does this do that an Aux socket won't? Okay so I stumbled upon this thread and it's not too old, so I could as well give a few details. I just finished installing a Bluetooth module to my own 406, with a PU-1633A radio, and I can give a bit of advice. 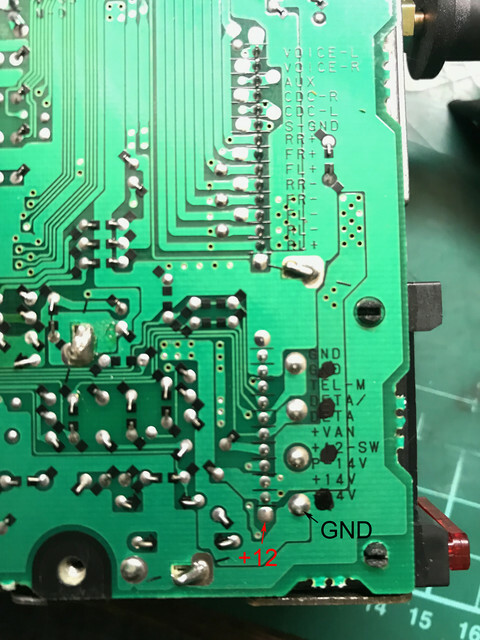 The problem with very low sound and hiss, is because the complete cassette player's circuits are still connected to the unit, so the electric path from your USB module to the radio's audio input channels is not clean. 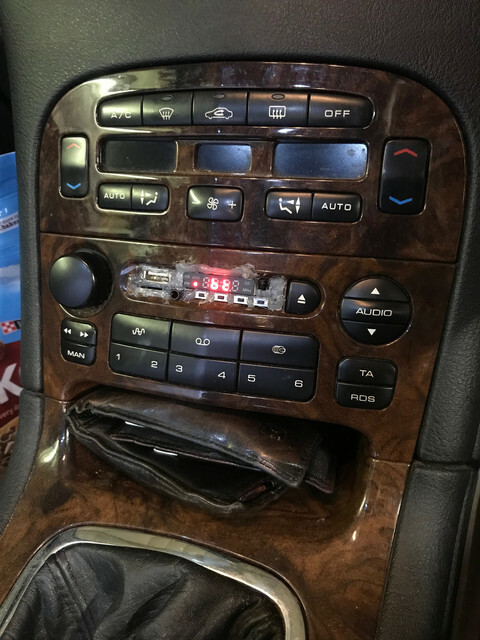 The cassette module can be removed from the main radio unit, but then the radio player will not switch to cassette mode (I tried to find if there was a way to fake it, but it's too complicated). So you have to keep it in place, but cut the RCH and LCH circuits on it. 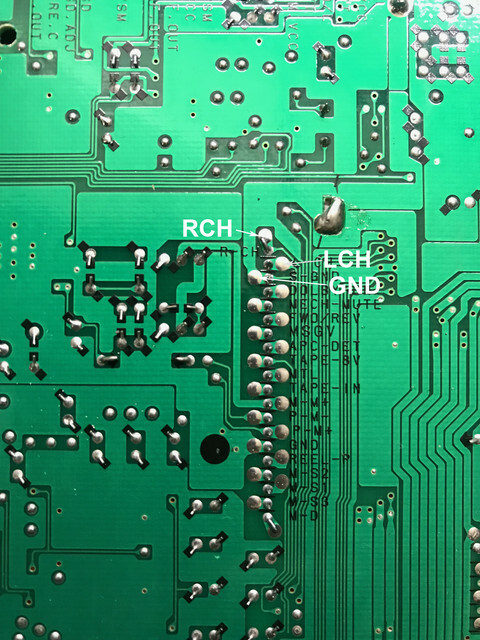 I don't have pictures now, but there are a few places to do it, after removing the cassette unit, you could cut the two pins at the connector between cassette/main unit, or you can scratch the traces on the PCB (there are easy to see and well indicated) or unsolder the two pins at the top of the cassette unit, which is the most reversible option, but maybe more difficult. Also, be sure to insulate correctly every solder point you make with electric tape or whatever, because the vibrations of the car will make things move eventually, and you don't want to short anything. To answer about what this does that an Aux socket won't, well these units don't have an Aux socket in the first place. So what this does, for one, is provide an Aux socket. Then depending on the USB unit it will also provide USB, maybe Bluetooth, anything is possible really. For my part I used a 12V bluetooth module that is completely hidden in the radio so I didn't have to touch the front panel. can i just install audio jack output only with out doing this process?